As Chairman of The Anker Consulting Group, Inc., Mr. Anker has served as an advisor and owner in several small concerns including the retail, wholesale distribution and service industries as well as the public sector. Presently, Mr. Anker spends much of his time guiding small business on matters of formation, start-up and the acquisition of capital from public and private sources. His business interests include Flat 12 Bierwerks (www.flat12.me), Brian Hammons Productions (television content for Fox Sports), Kingston’s Music Showcase (www.kingstonsmusicshowcase.com), SWAN Software Solutions (www. swansoftwaresolutions.com), a Midwestern- based call center and The Anker Receivership Group, LLC. Also, Mr. Anker is the Associate Editor and Partner of Current Publishing, LLC. Its holdings include 11 local newspapers (www.youarecurrent. com). 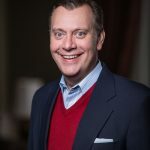 He is one of the founders of Monument Advisors, LLC, a mezzanine bank serving the capital and financial services needs of business concerns throughout the Midwest and PreferredPartner.com, Inc. (www.preferredpartner.com) a reseller of computer software and services. And, he has served as a Director on the Board of Symons International Group (formerly NASDAC: SIGC), an insurance holding company and IGF, a large multi-state crop insurance concern. Active in advancing the strategic direction and financial well-being of many charitable endeavors, Mr. Anker is currently serving as the President of Legacy Fund, the Community Foundation of Hamilton County, Indiana and an officer in the Central Indiana Community Foundation (www.legacyfund.org). He is a member of the Board of Directors for Liberty Fund, Inc. (www.libertyfund.org), The Friends of the Austrian Economics Center (www.austriancenter.com), Vice President of Ivy Tech Foundation (www.ivytech.edu/giving), and as President of the Indianapolis chapter of The Bastiat Society (www.bastiatsociety.org). Mr. Anker is presently serving on the Board for Conner Prairie Interactive History Park (www.connerprairie.org), as Past President for Indiana Humanities (the Indiana affiliate of The National Endowment for the Humanities) (www.indianahumanities.org), as President of the Indiana University, College of Arts & Sciences Alumni Board and as Curriculum Dean of the Hamilton County Leadership Academy Class of 2013-14 (www.hcla.net). He is a member of several service and private affiliations including The Mont Pelerin Society, The Association of Private Enterprise Education, The University Club, and Woodstock Club. Additionally, he supports in various political endeavors, and his church – Meridian Street United Methodist. 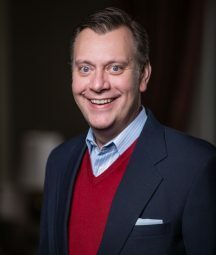 He has previously held leadership positions for, Beacon Society of Methodist Hospital, Happy Hollow Children’s Camp, the Entrepreneurship Advancement Council, Riley Hospital for Children, the Private Industry Council of Indiana and Prevent Blindness Indiana. Mr. Anker is a regular guest lecturer on entrepreneurship and executive leadership. Mr. Anker is a native of White County, Indiana and holds a Bachelor of Arts (B.A.) degree in Speech Communication from Indiana University in Bloomington as well as a Juris Doctor (J.D.) degree from the School of Law in Bloomington, where he earned Dean’s Honors. Upon relocating to Indianapolis, Mr. Anker managed the development of the I.T.S., a technology solution for the electronic submission of court filings for HPS, Inc., which culminated in the sale of the technology to a major telecommunications firm. Politically active since serving as Student Body President for Indiana University, Mr. Anker also led the bi-partisan and multi-disciplinary Marion County Regulatory Review commission, an organization charged with streamlining city-county government bureaucracy, as part of the Stephen Goldsmith mayoral administration of Indianapolis. Additionally, he has attended and led numerous professional training and education seminars and is an alumnus of the Stanley K. Lacy Leadership Development and a weekly newspaper columnist. Mr. Anker now resides in Carmel with his wife Carolyn of Eli Lilly & Company and two young sons.